ACER has international and national expertise in developing quality assured assessment instruments, particularly for literacy and numeracy. The item development and test construction for CSPA follows ACER’s strict QA processes and leads to well constructed items and assessments. The items are trialled with adult learners to enable the items to be analysed psychometrically for their performance and scaled in item difficulty order. The ACER mapping and reporting against the ACSF uniquely uses a combination of both statistical, empirical data and professional judgement to set the levels of the individual items/questions and to establish the boundaries (cut-off points) between each of the five levels of the ACSF. The assessment of the LLN core skills of reading, writing and numeracy are valid, reliable and fair. They have been developed explicitly for reporting against the national adult LLN standards, the Australian Core Skills Framework (ACSF). The CSPA includes an optional online assessment of writing – whereby responses are automatically marked using the latest Intellimetric® essay scoring technology. 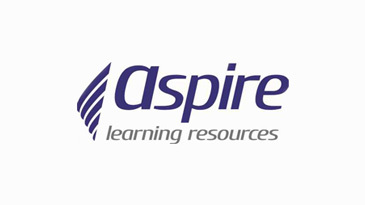 ACER has personnel with the skills, knowledge and experience to support an RTO’s needs in the use of the CSPA, and to assist in implementing an LLN strategy across the organisation. The assessment is easy to use with simple, clear reports. The assessment provides data to inform a student’s learning plan. Why are literacy and numeracy skills critical? Literacy and Numeracy Skills and Labour Market Outcomes in Australia by the Productivity Commission. What are some of the key issues about assessing foundation skills? In the 21st century the demand for, and sophistication of, literacy and numeracy skills have increased. Literacy and numeracy are no longer just the three R’s, but are sets of complex skills across reading, writing, speaking, listening and numeracy skills, and go from low level through to high level skills. The Australian LLN standard, the Australian Core Skills Framework (ACSF), represents this complexity across five core skills and across five wide levels of performance, and the ACSF now includes a sixth, lower, pre-level 1. Many Qualifications and Training Package units will require a minimum of ACSF level 3 across a number of core skills, and many units will require ACSF levels 4 or even 5, so assessing across the breadth of the ACSF is important in relation to pre-training assessments. Why can’t we use a quick and short LLN assessment tool? Some existing LLN assessments and related tools that are in use are very short and would appear to be very attractive. However, from an assessment perspective they are not reliable, valid and therefore not fair. Why? In writing for example, the ACSF has two indicators with five focus areas in each described across the five levels – a total of 50 potentially different aspects of writing to be assessed. Similarly numeracy with its three indicators and different focus areas also has 50 potentially different aspects to be assessed. It is therefore not possible, for example, to validly assess an LLN skill against the ACSF with five short, simple online questions. Psychometricians would argue that to distinguish accurately and reliably between the border between two adjacent ACSF levels would require 20 or more questions alone across those two levels. From a compliance and valid and reliable assessment perspective it is important to therefore guarantee that any LLN assessment tool has been written and validated against the breadth and depth of the ACSF. Generic or context-based LLN assessment? For a pre-training assessment we believe generic assessments are more appropriate, fairer and more valid, as the learner has not yet been introduced nor taught the discourse and specific contexts and content of the course. This can, we believe, make the assessment more difficult and not give a fair assessment of the learner’s LLN skills and abilities and potential to succeed in the course. A context based LLN assessment would be more appropriate for ongoing assessments or a post-assessment, but not a pre-assessment. For those skills where online assessment is available, online assessments have a number of advantages. From a management perspective, online assessments are efficient and cost-effective compared to using local paper-based assessments. Whilst it may seem effective, the time taken to mark the assessments (and check for consistency of marking and reliability), compile the results against the ACSF and record and input the results into student management systems takes much staff time. Access to validated and reliable online assessments that are automatically scored and results made available immediately is very time and cost effective. Computer based assessments are also more engaging and more appropriate in the 21st century. Under the streamlining of Training Packages it is now mandated that each unit must identify the relevant language, literacy and numeracy skills required. The ISCs are responsible for mapping each Training Package unit against the relevant LLN skills using the ACSF and its levels. This is not an easy or short task and requires ACSF experts to thoroughly review not only the descriptions such as the Elements and Performance Criteria in the units, but to also know and review what the content and the LLN requirements in associated documents used in the industry and in training and assessment materials. The ISCs have been working towards achieving this task over the last few years. This will provide RTOs with the necessary information to identify and map ACSF levels against qualifications. What is the relationship between the Australian Core Skills Framework (ACSF) levels and Australian Qualifications Framework (AQF) levels? 'The levels of the AQF do not match up directly with the performance levels of the ACSF. This is because of the way that units of competency and qualifications have been written. Effective performance in different industries requires different core skills and core skill requirements will also vary in different contexts. 'As the core skill requirements of AQF qualifications reflect the requirements of the occupational and academic contexts to which they relate, it follows that two qualifications at the same AQF level can have different core skill requirements. For example, qualifications in building and plumbing overall have higher Numeracy requirements than qualifications at the same AQF level in the areas of floristry or entertainment. Shomos, A. and Forbes, M. (2014) Literacy and Numeracy Skills and Labour Market Outcomes in Australia, Productivity Commission Staff Working Paper, Canberra. How can the Core Skills Profile for Adults help my organisation? The CSPA is a flexible assessment with wide applicability for use across training organisations and in employment and government settings.